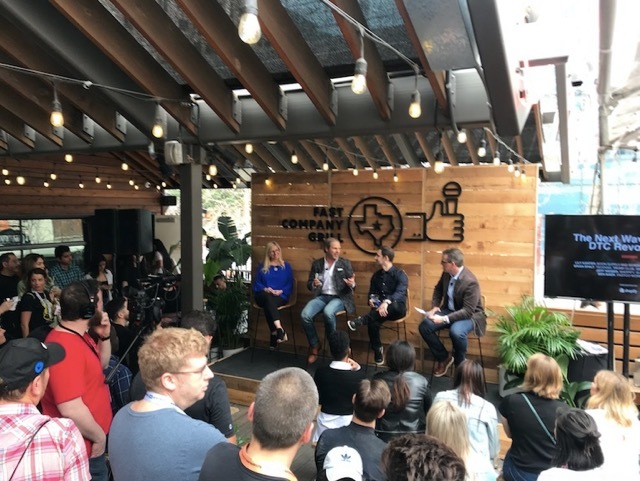 Duncan Shand, Jesse Kelly and Kat Cox from Auckland agency YoungShand are attending SXSW 2019 in Austin, Texas. Here they’re reporting on the latest trends from the conference exclusively for Campaign Brief. If you missed their report on Day 1, you can find it here. Artificial Intelligence (AI) isn’t new. In fact, we’ve come a long way since the first AI programmes, written in 1951, were playing checkers or chess. Today, our everyday devices and applications harness AI and Machine Learning (ML). 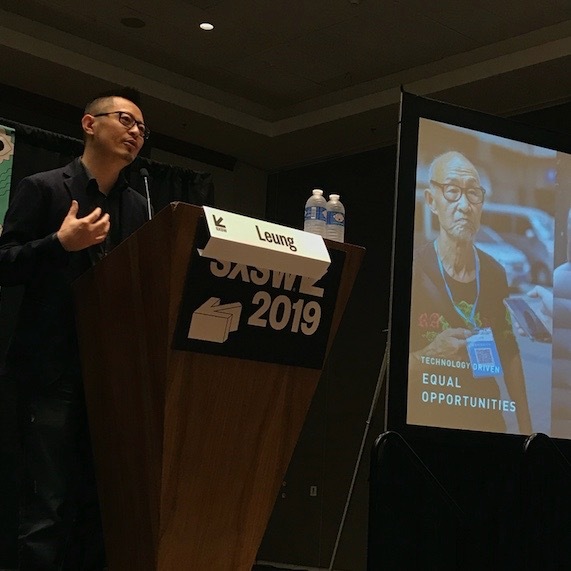 In saying that though, you only need to scroll through the list of sessions on offer at SXSW and you’ll quickly gather that now the word ‘AI’ is almost interchangeable with the word ‘innovation’. There were lots of real-world, case study examples of projects and experiences that had AI at their core to deliver something truly mind-blowing. These advancements in AI have posed some questions for the creative industry, which after today’s sessions can be demystified. If you’re a ‘right-brainer’, you can rest easy now. And for those with brains that lean to the left, no, it wasn’t a panel of creatives delivering that message of hope. Even though there have been leaps and bounds in the realm of natural language and AI for creativity, the experts aren’t predicting a future where human creativity will be replaced by bots. – Composing music scores that you can tweak. The confronting question posed, however, is that of ethics. Who and how do you credit the work? There was an AI painting sold at Christie’s Auction House for $423,500 that was created in part by some open source code. Was it fair that the original programmer didn’t see a dime? Do we risk eroding more trust in the modern era of fake news? Advancements such as the capability to generate artificial “photos” that look real to humans could mean the end of negotiating talent fees, or, combined with the ability to generate copy through natural language, create online campaigns with no human involvement. These are questions we’ll need to address as our industry becomes ‘smarter’. Lastly, there was some great news for all the table drummers out there like me. Douglas Eck, from the Google Brain Team, has been working on an AI project where you can table drum into a microphone and, through AI, it will lay down a drum track for you modelled against hours of pre-recorded drums. My colleagues will be delighted! During Day 2 of SXSW, I saw some really interesting trends emerge. Two that are front and centre — culture and collabs. I’ve been to a couple of amazing talks in the last two days featuring the legends responsible for reviving for some big brands via collaborations and authentic partnerships; namely Levis, Adidas and Mercedes Benz. We’re also seeing a massive shift towards brands aligning with the social issues important to the new shopping generation, and it’s smart for business. Brands are taking a genuine interest in social responsibility and for many, it feels authentic. Levis, for example, has taken a stance on gun violence (resulting in daily hate mail, but they couldn’t care less) because appealing to a younger, more socially-aware audience not only helps them sleep at night but helps them make bank. Brand collaborations with culturally relevant icons is not a new concept, but lately, we’ve seen some phenomenal results from unexpected pairings. The Mercedes Benz partnership with A$AP Rocky showing us how good design and the right partnership can help brands reach new generations of shoppers, giving their brand relevance and longevity. The authenticity comes in when an icon like A$AP Rocky can clearly define why he is getting behind a brand (which he does for Mercedes). around 80% of ads created rely on logic, there’s clearly a big opportunity within the emotion category. The session pulled apart the classic ‘Like a Girl’ campaign, which at its essence included three very important things; a real insight, a brave change in the medium/format, and a rich, emotional piece of storytelling. An interesting question was also poised — how do we create a connection in an often inauthentic world? Millennials are belief driven buyers, so it’s becoming increasingly important to make real, human connections with our audiences. Lastly, a short yet impactful talk on ‘Community ROI’. Here we explored how to define a return on investment for your community building efforts. First, they burst our bubble — community building is going to be more expensive than you think and will drive costs you don’t expect, like support, bug fixes and service. But these are good things and will deepen the relationships you want to develop in the long run. We should be thinking about community building as CSR and how we can build a legacy. I thought this was a nice idea. So, there you have it for Day 2. It’s a marathon, both mentally and physically (Duncan has done 13,000+ steps each day so far), but we’re loving it. Keep coming back to find out what Day 3 will bring.